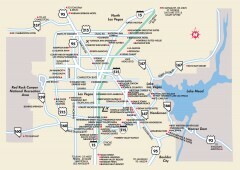 Map of golf courses in and around Las Vegas, Nevada. 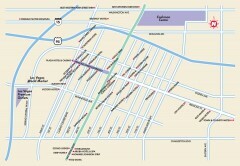 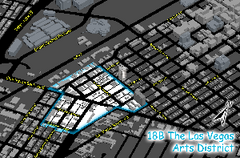 Shows public and private courses, as well as roads. 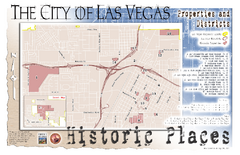 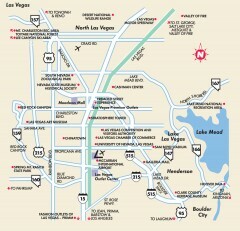 Tourist map of Las Vegas, Nevada. 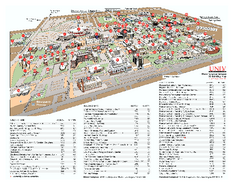 Shows museums, government buildings, and other attractions.